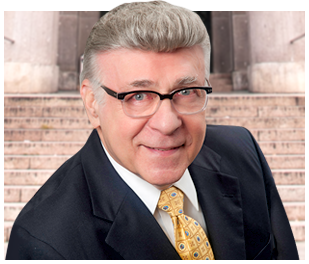 Since 1974 Alan Pearlman, Ltd. has been helping the people of Chicagoland and Lake County with their family law problems, as well as Criminal Law and Complex DUI and Traffic Law matters. From that time to the present Mr. Pearlman has focused on these issues, to resolve disputes and thereby avoid costly consequences for his clients. The firm is made up of Mr. Pearlman, who will personally handle your matter, as well as an office manager. The firm is located on the boarders between Lake and Cook County, in Northbrook, Illinois. Mr. Pearlman has been concentrating on Family Law matters for over 4 decades, and the firm can meet your needs regarding Adoption, Child Custody Matters, Dissolution of Marriage(Divorce), Child Support, Visitation and Maintenance (formerly known as Alimony). Alan is also a contributing Author in Janice Goldman’s new book, “Let’s Talk About Money – The Girlfriends’ Guide to Protecting her ASSets.”where he gives advice regarding Dissolution of Marriage and what perspective you need to have while going through the process. Mr. Pearlman is a member of several Bar Association Groups and teaches in his area of practice, as well as in the area of Legal Technology. He formerly served as the Webmaster of the American Bar Association’s General Practice Section Internet Board and is a former member of the Board of Editors of their GP Solo Magazine’s Technology and Practice Guide. He also serves on many bar association legal technology committees, including: Past Chairman of the Chicago Bar Association Committee on Legal Technology; Past-Chair of the Northwest Suburban Bar Association Legal Technology Committee; and Past-Chair of the Illinois State Bar Association Committee On Legal Technology. He is also a member of the Editorial Board of Leader Publication’s Legal Tech Newsletter, a division of the American Lawyer Media’s Publication group, as well as a participating columnist. In addition to Mr. Pearlman’s involvement in the legal technology community he has also served as an elected member of the Illinois State Bar Association Assembly, Committee on Minority and Women Participation, Traffic Law and Court Section Council, Special Committee to study the Lawyer Referral Services of the Illinois State Bar, and past Chair of the Fellows of the Illinois Bar Foundation. Mr. Pearlman is a frequent speaker at national Legal Technology Seminars, among them, American Lawyer Media’s Legal Tech Seminar, American Bar Association’s Techshow, Minnesota State Bar’s Midwest Tech, Kentucky Bar Associations Annual Convention, Virginia State Bar’s Law Tech’96 and the Illinois State Bar Association’s Annual and Mid-Year Meetings. Mr. Pearlman is a past Assistant State’s Attorney for Cook County Illinois, a past Prosecutor for the Secretary of State’s Office in Illinois and a past Hearing officer for the office of the Secretary of State of Illinois. Mr. Pearlman has written extensively on the issues involved in the Dissolution of Marriage Process and frequently writes articles in several Family Law Journals, including the American Bar Association’s Family Advocate Journal.